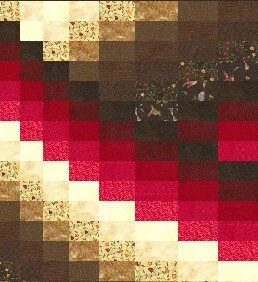 Each row of blocks is sewn together, and then each row sewn to other rows. The blocks at the start. Block 4 attached to block 3. 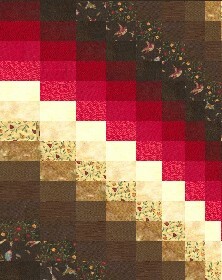 Carefully align the horizontal seams in the same way as when sewing the blocks. As always, press joined blocks before joining to any other block. 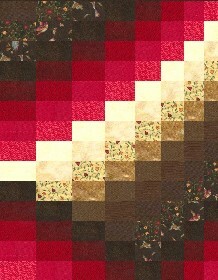 The seams should be pressed in the same direction as all the other seams in the blocks. Row 2 joined to row 3.